The NYUAD Global Studies Colloquium is an interdisciplinary forum for dialogue and exchange that seeks to build ties with other universities in the Gulf and wider Middle East. Established in the Fall 2011 by Saglar Bougdeva, Dale Hudson, Lauren Minsky, Sheetal Majithia, and Sana Odeh, the Colloquium addresses the pressing need for new understandings of emerging socio-political issues in the MENA region within a global framework. Recent events in the region have challenged scholars to reevaluate assumptions and epistemological models that currently structure knowledge of this region and its social, political, and cultural development, in fields ranging from the social sciences, area studies, arts and the humanities. The Colloquium hosts MENA-based scholars whose research addresses these emerging issues. The particular topics covered by speakers will include: colonial, postcolonial and neoliberal forms and legacies of empire; comparative understandings of Enlightenment thought and universalism; social media and youth culture; women in politics; nationalism and national identity; artistic and performative cultures; civil institutions; and the role of universities. The first guest of the NYUAD Global Studies Colloquium was Elizabeth Kassab, who has taught philosophy at the American University of Beirut, Balamand University, Yale, and Columbia. She is currently a researcher at Erfurt University. Her recent book Contemporary Arab Thought: Cultural Critique in Comparative Perspective (Columbia University Press, 2009) explores various schools of critical thinking in the Arab world. She first charts the Nahda, the “renaissance” or “awakening” in 19th century Arab thought, before engaging the 20th-century struggles to achieve independence, development, cultural and religious pride or democracy. The book grapples with the fact that Arab thought has been cast as an expression of an ahistorical and essential “Arab malaise”. 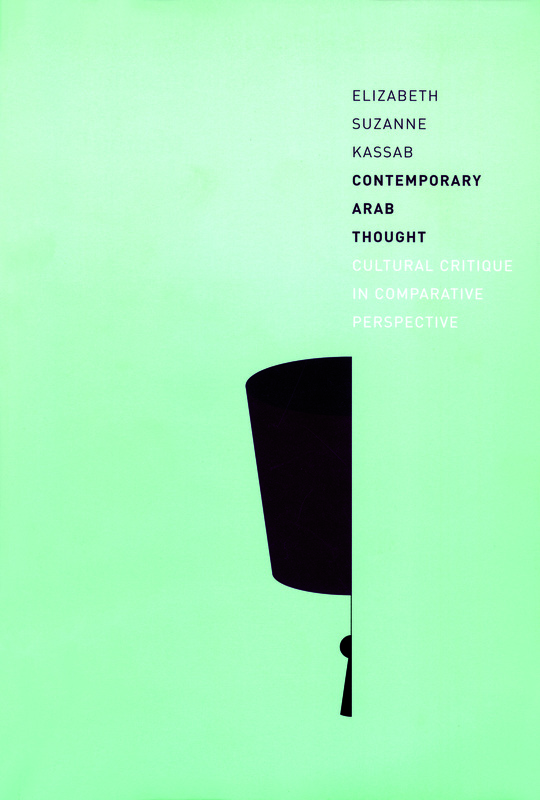 In response to this scholarship, Kassab’s work shows the political and historical roots of the Arab predicament. She goes beyond approaches that consider Arab thought as exceptional or self-referential by linking it to African, South Asian and Latin American perspectives, thereby demonstrating the similarities between various postcolonial conditions and the importance of engaging in comparative work. My first question is about Abu Dhabi and the United Arab Emirates: how does the country fit in the map of the Arab World you draw in your book? I often visit the Emirates and this is an extremely intriguing place for me, because it is such a different corner of the Arab World. The very concept of Arab World intrigues me even more when I am here. First of all, there are no wars. Coming from Lebanon, I often ask myself: how come that the Emirates do not have civil wars among themselves? I am fascinated by the invention of the Emirates and by how these regions came together and function. Another contrast with us is that this place is a success story. We have inherited a long history of defeats, failures, disasters and humiliations, all things that you don’t find here. We are obsessed by the Palestinian-Israeli conflict. The Emirates are far away, they belong to another constellation: the Indian Ocean, the connection to Africa. The whole geographic set up is different. Since the oil boom, anybody coming from our part of the Arab world would say that it is only about money, that Emiratis don’t have any cultural or historical depth. With this buying of museums and importing of universities, NYU and the Sorbonne, it is easy to say that they are just buying stuff. Well, I think that the story should be more complex than that. And hence to use the word I like to use in connection with my perception of this place: it is an intriguing experience, which needs to be understood and explored more. I rarely get to talk to Emiratis and my bigger mystery here is: what are their goals in initiating this intellectual and cultural experience? In Doha, some of the slogans of the Qatar Foundation are hilariouschallenging: think! Imagine! Does the Qatari government realize what that means in terms of political implications? And whom are these slogans impacting? The students? Governments in the Gulf want to become global, and these universities cater to students from Malaysia, Indonesia, the Far East and the U.S. But what is the place of the Arab World in all this? Are Arabs the poor relatives, the problematic agitators that the Gulf wants to forget about? Does the Gulf have an Arab ambition? How would you map out the traditions of critical thinking in the Arabian Peninsula? The idea that this place is a cultural desert does not hold anymore. Thinkers like Mohammed Jaber al-Ansari, Mohammed al-Rumaihi, Shafiq al-Ghabra, Khaldun al-Naqeeb, Turki al-Hamad, Abdallah al-Ghathami  are connected to and participate in the general issues of the Arab World. While working on the Mashreq and the Maghreb, I asked myself: is there such a thing as “Arab thought”? Yes, as long as there is a universal discourse and common preoccupations in which all these people participate. There are also wonderful thinkers outside the region, like Madawi Al-Rasheed. She epitomizes the great qualities of the radical thinkers I have worked on: lucidity, sobriety, sharpness, clarity. And my question to you at NYUAD is: when you speak about Arab Crossroads, are you in conversation with these people? Madawi Al-Rasheed was on my dissertation committee, and my students are currently reading her, as well as Abdul Rahman Munif. That is great! What is nice about Madawi Al-Rasheed is that she does not stay in any ivory tower but writes a weekly column in al-Quds al-‘Arabi and speaks often on BBC Arabic. And of course, reading them does not mean that we should agree with them, but they are engaged in critical thinking, which is of great value. How would you describe the “Arab predicament” or “unhappy consciousness” you mention in your book? That is a wonderful question to raise here in the Emirates, where I don’t think there is any unhappy consciousness. Coming from where I come from, it is fascinating to be confronted to this happiness! When you come here from our part of the Arab World, you see success, you see prosperity, you see openness to the world, especially in the Emirates. In these places it is strange not to be confronted to a predicament, but to witness success. Now, what about political participation, which is the great source of unhappiness in our part of the Arab World? Is it even an issue? Do people suffer from the lack of it? Is it a priority for them? Are the rulers thinking in that direction? I don’t know, but it seems to me that what is such a heavy predicament in our part of the world that simply does not seem to exist here, or might exist in different ways. And of course, it is different from one place to another, and one has to look carefully at individual settings. But one can be sure of this contrast between the state of mind we come from – humiliated, defeated, poor, disgustedfrustrated – and what you see here. Is it an ‘Arabiyya sa‘ida, a new Arabia Felix? Good question! Another interesting question is: given these differences, what impact does the “felicity” of the Gulf have on the more damaged part of the Arab World? Should it even have an impact? If we look at universities in the Gulf, what is the impact of higher education in liberal arts for instance? Imagine if it was to happen in Egypt, where 80 million people could be impacted, not a few hundred thousands. And lastly, a propos impact, of course we know that it is one thing to promote chemistry and engineering, but humanities? Ha, that is the million-dollar question. Why are there so few humanities programs in the region, and what could be done to change that situation? Liberal arts or critical humanities will promote critical thinking, which bears political implications. These regimes and some of the conservative societies do not necessarily want to promote that. We know what happened to social science institutes in Morocco, Algeria and Tunisia: after decolonization, they tried to function but were shut down. These governments do not want to find out about social problems or hear any critique. There is also a general mediocrity: one of the big failures of post-colonial Arab governments is education, and mediocrity breeds mediocrity, corruption, neglect, ideological indoctrination … Have you watched Omar Amiralay’s film Tufan fi balad al-Ba‘th,  in which he interviews a school director in the Euphrates region? The guy candidly speaks about his school, and you understand that the state has produced generations of poorly educated, fully indoctrinated, repressed people. One of our Emirati students told me: I am happy to study in English, but I wish we had Arabic-speaking universities that attract people from all over the world. It is an excellent remark and we could look at older experiences, in Lebanon for instance: the American University of Beirut or the Université Saint-Joseph. What is the impact of these liberal education institutions? The trouble is that they might have had an impact only on their graduates. In the past, these institutions trained an intellectual and political elite. Today, tThey tend rather to produced students who wanted one thing: emigrate. Most of them became engineers and businessmen and doctors, which is understandable: in all societies, critical thinkers are a minority. I taught at AUB for ten years and we all saw young people wanting one thing: earn the degree and leave. If we look outside of the Arab world, how does the Arab predicament compare to other issues in other regions of the world? Everything Arabic and Islamic is seen as being exceptional, as being explained in self-referential ways. It is a circular thing, and people typically answer the question: why is this or that so? by saying: because it is Arab, or because it is Muslim. It was important for me to open the windows and the doors and to look elsewhere. Are other peoples on this planet raising similar questions, do they face similar predicaments, similar cultural, intellectual, political challenges? A South-South dialogue is key: to escape our focus on identity, we need to know that other peoples have suffered from similar predicaments. We tend to think that we have these problems because we are who we are, and it is not a very fruitful track of reflection. Whereas if you start looking at structural problems, at economic, political, historical problems, then this sterile focus on identity moves to the background. I am all for posing the Arab question in a comparative perspective, and a program like yours could probably do that, too. What region of the south is the closest to the Arab world? Sometimes it is the most remote people who tell you something about yourself. When I read South Pacific authors, I recognize concerns that I have been obsessed with. Indian subaltern literature is crucial and Indian post-colonial thinking is amazingly mature in comparison to ours! Africans have fantastic discourses too. Every place is a candidate to becoming global, and the Gulf has actually the means to open up and get connected. But there is psychological resistance. Rather than talking to poor relatives, Arabs look at those who are faring better than them, and this explains our interest in Europe. I understand that an Arab might say: what can I learn from another miserable fellow in Africa, in India or in Latin America? But talking to miserabledowntrodden people like us might teach us a lot about better ways of dealing with our problems. If the Emirates and the Gulf region can contribute to that, great! Among radical Arab thinkers, who is looking at those connections to other worlds? Not many people, which reminds me of the Arab fascination with Japan, from the 19th century onwards. Numerous Arab thinkers spoke about Japan but who among them knew anything serious about it? And we are still talking about the Japanese success story: Mas‘ud Daher recently wrote two books about Japan,  but few people really know the country. The big preoccupation was with Europe: Latin Americans, Africans and Indians were also fixating on Europe. Yes, but for Arabs, Japan was not another field of knowledge; it was a model. How in your view did the 2011 Arab revolutions impact the production of critical thinking? It is too early to speak of impact, and most intellectuals are surprised, trying to follow up, fascinated, happy and also concerned. The Arab media on the other hand keeps asking: do we need intellectuals, if they were not able to predict the revolution or to shape it when it happened? I would say that a lot of intellectuals are involved in the political events, Syria being one such case in pointat least in Syria. And even if intellectual work happens on one level, and political activism on another, there still is a strong parallel between the intellectual scene and the street. First of all, both movements are inward looking. The critical gaze is no longer towards the bad Westerners or towards Israel even, but against one’s own government, one’s own state of affairs. Critical intellectual have been moving in that direction for at least three or four decades and the street is now catching up with them. Secondly, Arab critical thinkers focus on the political. It is something that struck me precisely because I was not studying political contestation: I was examining cultural critique. For these authors, our cultural malaise is caused by political factors. And movements on the street are primarily political: they protest against the way countries are governed, against rulers, against political disenfranchisement. Thirdly, intellectuals and the street moved away from ideologies. Arab thinkers are greatly critical of ideologies and focus instead on the importance of critical thinking. And people walking on the street are more interested in nailing bad management than repeating slogans about this-or-that-ism. Last thing, the whole leadership business. Arab intellectuals realized that they were no longer interested in the avant-garde role that they could have had in the fifties or the sixties. They realized that this business of one-thinker-saying-it-all-and-having-followers no longer existed, that people were not looking for that. On all these points, I think that intellectuals and the street are in tune with one another. Why is it that intellectuals did not create the revolution? I do not think that intellectuals create revolutions, and it is not books that get people in the streets: it is a basic sense of revolt against injustice. What will ultimately push you to face cannons and thugs is really that sense of khalass, enough! you cannot take it anymore. You need guts, not a brain, to take to the streets! What Arab books would you encourage our students to read? If I were to make suggestions in shaping Arab studies, I would encourage students or anybody trying to understand the Arab world, myself included, to read Arab newspapers. Many daily newspapers have good opinion pages, and there is a whole debate going on. It takes a lot of time every day but you cannot have a sense of what is going on without reading newspapers, watching television, being on Facebook. Then: read Arab literature, read fiction! My One of my great heroes is Saadallah Wannous,  who said it all, early on, in his theater. One has also to be aware of the art scene in the Arab world. It should be said of Arab thinkers that they are thinkers, because many people in the region and outside of the region have no idea that these thinkers even exist! They are perceived as local, not worth reading, nothing in your education exposes us to them. This battle needs to be fought if we believe in critical thinking, because nothing has helped so far to disseminate the works of these people. Or else, bon, let me read Descartes and consider myself educated! Bahraini philosopher and political thinker (born 1939). Kuwaiti political thinker and sociologist (born 1942). Kuwaiti political scientist (born 1953). Saudi novelist and intellectual (born 1953). Saudi literary critic (born 1946). 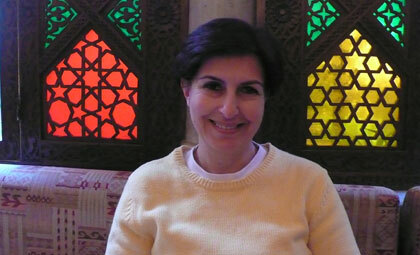 Saudi-born anthropologist and political scientist, professor at King’s College (born 1962). Saudi-born novelist, author of Mudun al-Milh (Cities of Salt) (1933-2004). Omar Amiralay (1944-2011), Syrian director and political activist. His 2003 documentary A Flood in Baath Country analyzes official propaganda in rural Syria. Mas‘ud Daher, Al-Nahda al-‘arabiyya wa-l-nahda al-yabaniyya: Tashabuh al-muqaddamat wa ikhtilaf al-nata’ij [Arab and Japanese Renaissances: Same Beginnings, Different Outcomes] (Kuwait: Al-Majlis al-watani li-l-thaqafa wa-l-adab, 1999), and Al-Yaban bi ‘uyun ‘arabiyya 1904-2004 [Japan in Arab Eyes, 1904-2004] (Beirut: Markaz dirasa al-wahda al-‘arabiyya, 2005). Syrian playwright (1941-1997). He notably wrote Haflat Samar min Ajl Khamseh Huzayran [Entertainment Evening for the 5th of June] (1968), Al-Fil malik al-zaman [Elephant, King of all Times] (1969), Al-Malik huwa al-malik (The King is the King) (1977), Tuqus al-Isharat wa-l-tahawwulat [Rituals of Signs and Transformations] (1994).